Hi there! Today I’m so excited to share a review and giveaway for a new M/M romance from Eli Easton. 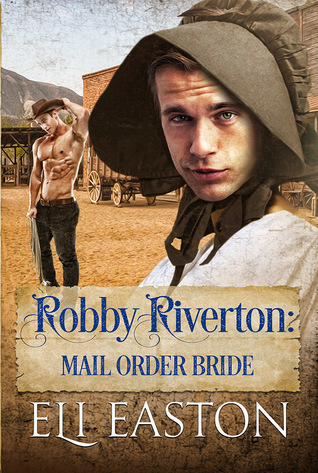 Most of my reads for this week are supposed to have been released at least several months ago, if not longer, but ROBBY RIVERTON: MAIL ORDER BRIDE is a historical romance set in 1850s New Mexico which is still way back. I have loved all the Eli Easton books I’ve read, including MERRY CHRISTMAS MR. MIGGLES, her HOWL AT MOON books, SECOND HARVEST and FIVE DARES. ROBBY RIVERTON is a fun and suspenseful romp through the truly wild west–and hijinks abound. 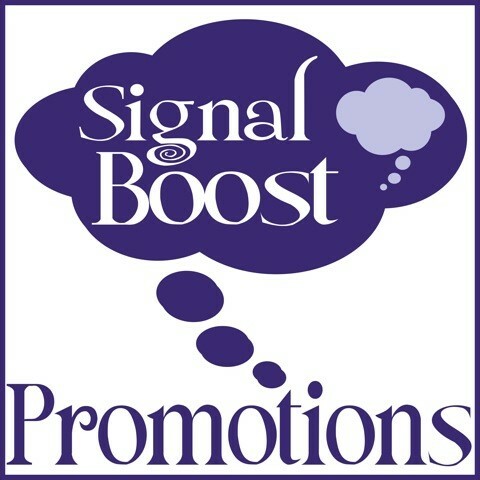 Scroll down to catch my review and enter the $25 GC and books giveaway! Robby Riverton is on top of his world, acting on the New York stage and being paid to do it! One night, however, he leaves the theater late and becomes an eyewitness to a murder committed by a notorious mob boss. Now his fame could be his downfall. Fleeing New York for less gentile areas, he hops a wagon train west. His hope is to re-settle in San Francisco and join an acting troupe there. While en route, Robby makes the acquaintance of a flighty young gal, Rowena, who’s sold herself as a mail-order bride to hide the fact that she’s in a family way. She plans to have the babe on the journey west and claim it was an orphan she adopted when the mother died in childbirth. Robby thinks it’s unlikely her story will fly, but it becomes moot when Rowena meets a young banker who’s willing to make an honest woman of her. Rowena entrusts Robbie with a letter to her fiance, Clovis Crabtree. Robbie thinks getting to Santa Fe would be far enough to start over, but the mob boss’ minions are on the trail and his only means of escape is to don Rowena’s left-behind clothing and assume her identity. 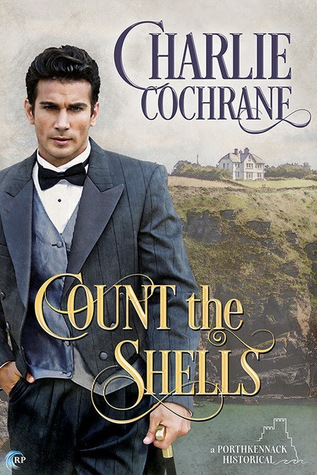 This is a charming historical romance. There are fun elements, like how “Rowena” schools the uncouth Crabtrees into better manners and shares her clothes with her soon-to-be inlaws. Trace is more than attracted, he can barely contain himself, meanwhile, Robby’s struggling to maintain his charade, at risk of public embarrassment and death. He’s playing the role of his life, and the mobsters aren’t planning on leaving any witnesses alive. Robby actually falls hard for the quirky Crabtrees and his influence helps Trace appreciate his own family better. Poor Clovis has a tendresse for a local gal, and Rooby’s subtle ways help Clovis find his true happiness–even if it won’t be with Rowena. I really enjoyed this one, and highly recommend it to fans of historical M/M romance. Interested? You can find ROBBY RIVERTON: MAIL ORDER BRIDE on Goodreads and Amazon. Click on this Rafflecopter Giveaway link for your chance to win a $25 GC or own of three ebooks. As an avid reader of such, she is tickled pink when an author manages to combine literary merit, vast stores of humor, melting hotness, and eye-dabbing sweetness into one story. She promises to strive to achieve most of that most of the time. 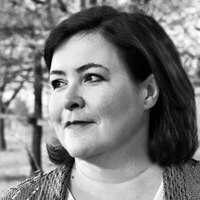 She currently lives on a farm in Pennsylvania with her husband, bulldogs, cows, a cat, and lots of groundhogs. Surviving With OF HOPE AND ANGUISH–Review and Giveaway! Hi there! I know I’ve been spotty with the posts, of late. I’m more than halfway finished with my student teaching as I finish a Masters of Education to get my teaching license…so life is hectic. That said, I’ll post as often as I can, while writing lesson plans, curriculum and teaching full-time. Today I’m sharing a review and giveaway for an historical M/M romance out now from Sylvia Violet. 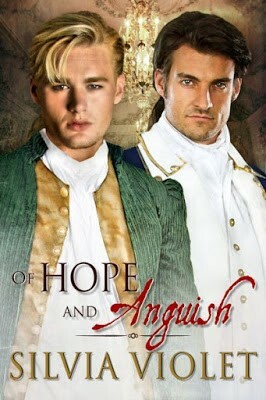 OF HOPE AND ANGUISH is the sequel to REVOLUTIONARY TEMPTATION imagines a clandestine romance between a Continental officer and the dandy who risks his life for his country and General Washington. Don’t forget to drop down and enter the book giveaway below! Major Jack West never thought his most important role in the Continental army would be as General Washington’s newest spymaster. He’s been out in Philadelphia nearly the whole winter, gathering intelligence that can be passed to his command at Valley Forge, but the winter is only more bitter without his love, fellow spy and book seller, Eli Ashfield. They had met in the summer when Jack recuperated an injury in New York through the acquaintance of Mrs. Constance Stephens–a presumed Loyalist but actual Revolutionary spy. 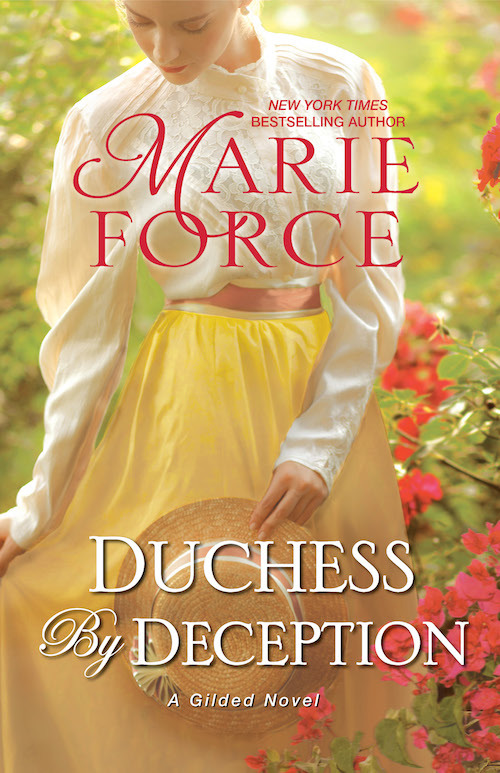 Constance and Eli have bided their time in New York, but the British army has moved on, and their ability to make useful inquests has dried up. Eli had been in the confidence of a new British spy, John Andre, and is eager to push on to Philadelphia where he could continue his surveillance…and meet up with Jack. Jack isn’t best pleased to see Eli and Constance out in Philadephia–he’d been grateful they were out of the line of fire–but he can’t resist their skills as spies, or Eli’s charms. Both men had known they might not make it past the war, and they make the most of their opportunities. Naturally, Jack is frustrated to be the handler for Eli, and even more so when they both recognize that Andre has more than a passing interest in Eli. Expect jealousy to rage, and Jack to suffer greatly in silence. Tempers run hot and cold, and the game is very much stacked against both them. Adnre is wily, and unscrupulous. He’s brash and a formidable match against Eli, who is remaining monogamous to Jack–a first for the confirmed hedonist. Circumstances are not in Eli’s favor when Jack discovers what he thinks are traitorous communiques from Eli, and it looks as if Andre has succeeded in seducing Eli. Expect it to get complicated, and the bonds of love to stretch to the breaking point. Jack knows Eli is his soul-mate, and will gladly sacrifice himself to keep Eli safe. Good thing they still have allies who are willing to go above and beyond the call of duty, and with honor. This one is a whirlwind, at times, with deception a constant. The love between Eli and Jack continues to grow, even as absence and the threat of death are nearly commonplace for them. I’m still loving these books, and look forward to more harrowing adventures. Interested? You can find OF HOPE AND ANGUISH on Goodreads and Amazon. Also, REVOLUTIONARY TEMPTATION is on sale for $.99. Pick it up on Goodreads and Amazon. Click on this Rafflecopter giveaway link for your chance to win a backlist book from Silvia Violet.